"Burninate" token, awarded by hashar. bd808 reassigned this task from valhallasw to -jem-. bd808 added subscribers: hashar, chasemp. There seem to be a large number of things that this single tool does, but the one that looks mostly likely to cause memory issues is the creation of annotated image thumbnails that are shared on Facebook (e.g. 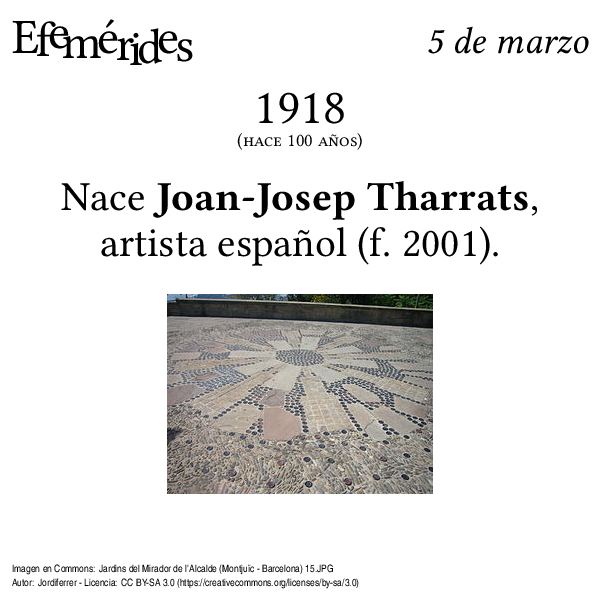 https://tools.wmflabs.org/jembot/ef/pub/20180305/1918-Joan-Josep%20Tharrats.png). 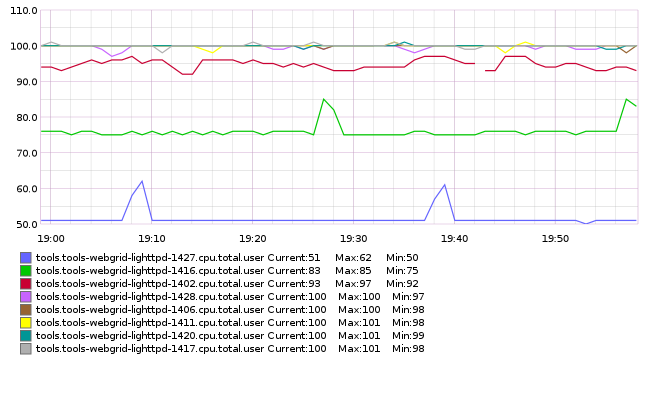 This bot was just now gobbling up CPU throughout the cluster. I stopped the webservice, then ran 'sudo cumin --force --timeout 500 -o json "project:tools" "/usr/bin/pkill --signal 9 -u tools.jembot"' and then restarted the webservice. Things seem better, for now... but we need a better fix. The new parent task (T153281: webgrid-lighttpd queues kill OOM jobs with SIGKILL leaving php-cgi processes behind) describes the general problem that leads to leaked processes on the job grid. It also includes work around instructions for clearing the orphan procs to free up CPU. I just now killed off all jembot processes and restarted again. Strictly speaking, it should not happen after a certain point. If continues happening after that change, maybe we'll have to create a new job killer script. However, this should be a long-term fix. I confess that I didn't have a super strong case for killing things just now; one of the labvirts was under strain and I saw several (maybe 4-5?) jembot processes running there and ran straight for the hatchet. It would be useful to know how many procs is a normal amount. This is really the same problem as T153281: webgrid-lighttpd queues kill OOM jobs with SIGKILL leaving php-cgi processes behind from the point of view of the job grid. It would be awesome if the tool could be updated/changed/tweaked to avoid hitting the job grid bug, but in the larger scope of things we need fix the grid or add a cleanup system. It may be reasonable to delay digging really deeply into the root cause and fix until we finish T199271: Upgrade the tools gridengine system and see if this problem persists. Maybe fully resetting everything jembot? If that was effectively done by @Andrew , and then @bd808 had to do a culling again after, then I'm convinced the new setting did nothing at all. The round of kills I did today (T153281#4703488) did not find any orphan jembot processes. It did find orphans from croptool, wsexport, iabot, and a few other tools that are known by me to leak occasionally. Oooh! Ok. That might mean that as things resubmit and restart over time, the problem might actually be fixed. It seems that is mostly fixed? 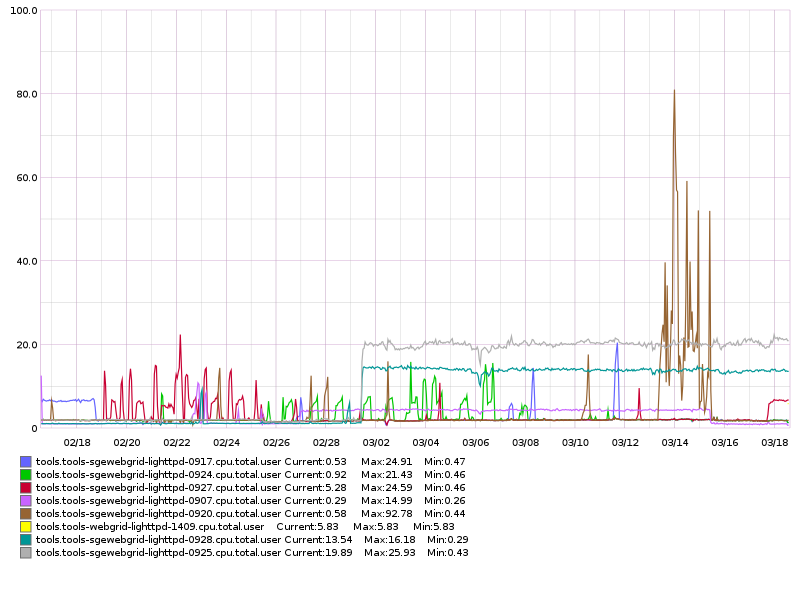 There are a couple sgewebgrid instances with stable high CPU which might indicate stall process. But that might be due to a different reason. I am not sure what got it fixed. Was it to send SIGTERM instead of SIGKILL?